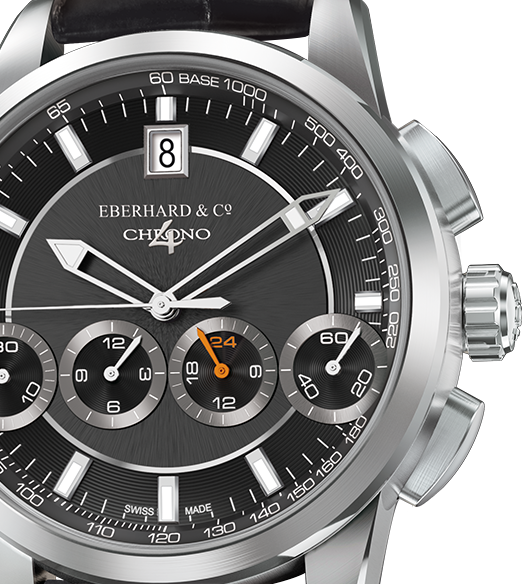 Eberhard & Co. presents Chrono 4 130 in a steel version with an attractive, sporty look. 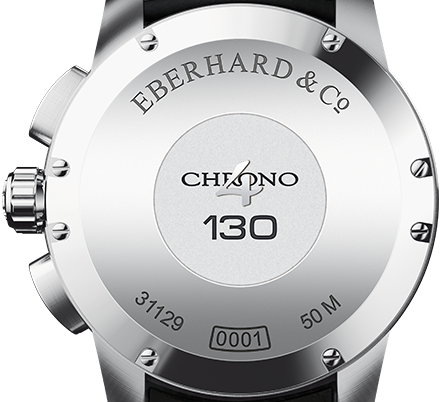 Waterproof to 50 m, the caseback of the Chrono 4 130 is secured by 8 screws and features a central medallion in bas-relief with sandblast finish, personalized with the Chrono 4 130 logo, where the 4 is raised. 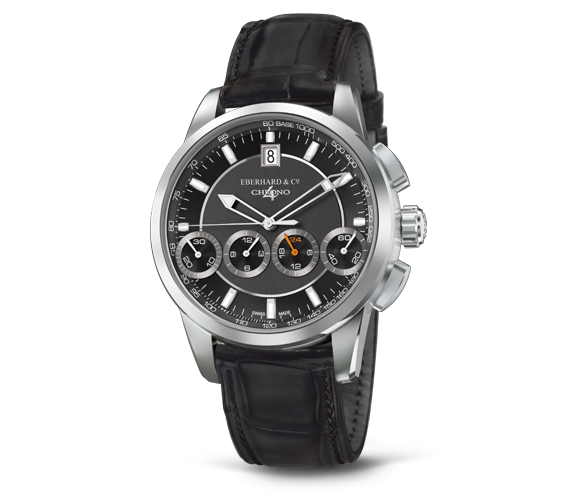 The model comes with a black rubberized alligator strap, waterproof, or with a Chêne steel bracelet. 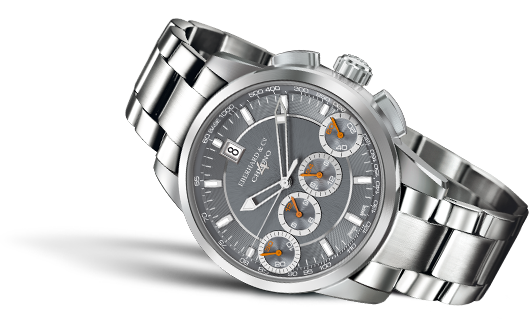 This edition features a 42 mm case framed by a bezel with circular satin finish; the model is proposed in three dial variants - grey, argenté and black - with snailed counters. including downloadable material such as the user manual.